New photo found. I wonder how many other secrets are lurking, unreleased. You know, like college transcripts. Or how he paid for Columbia and Harvard. Or his law practice client list. Or his Illinois State Senate records. Too bad he decided to follow after Andrew Jackson instead of Michael Jackson. THANKS FOR POSTING THIS! I'm glad I found your blog!! Finally something Barry didn't LIE about....trayvon DOES look like him!! 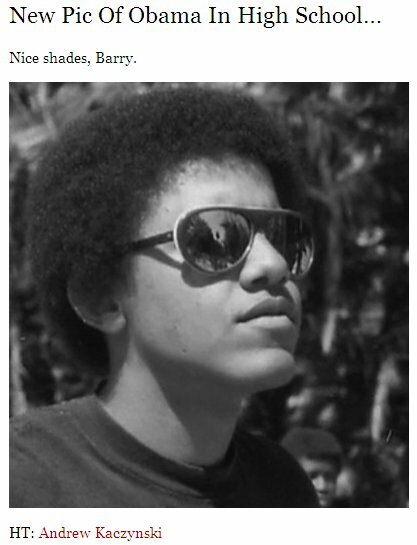 obama clearly had a huge nose job. Did he get his father's lips reduced? He did look like Trayvon in high school!!! Had his (bigger) nose stuck up in the air even back then. No wonder no one remembers him. They probably ignored him as much as possible.